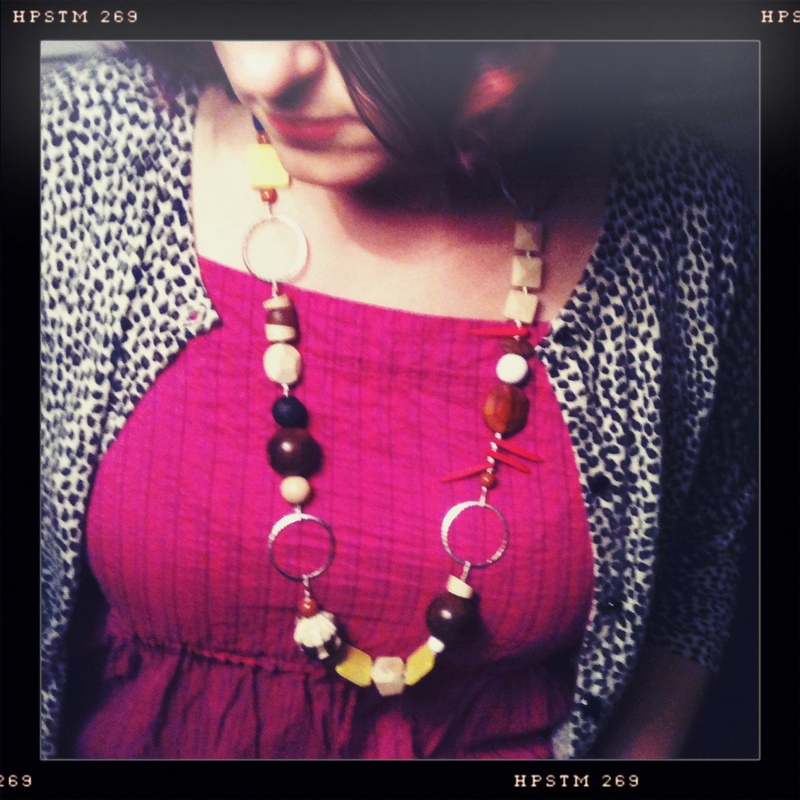 This necklace was made by Tracey Johnson of wooden and fiber beads strung on leather cording. The leather is knotted between the beads and then crimped around silver rings. The necklace is really bright and very happy. I think it is at least two years old and I wear it a lot in the summers. I have recently been looking at a lot of Jonathan Adler’s decorating work and this necklace, worn with a dress of fuschia Indian silk and a black-and-white snow leopard printed sweater is a bit Adler. Seriously, if you like to mix prints and colors, as I do, you walk a thin line, daily, between Crazy and Total Freaking Genius. To see more of Tracey’s work please visit her store here.